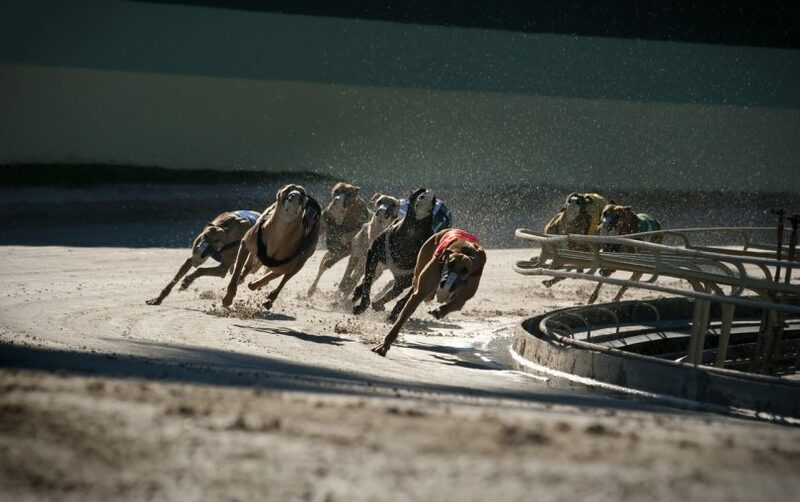 The Canberra Greyhound Racing Club has blasted the Government’s polling last year on the industry as misleading and designed to support its goal of cutting public funding and banning dog racing. The telephone polling by Orima Research in early 2017 showed that 67 per cent of respondents favoured the removal of “subsidies” to the greyhound racing industry, with 12 per cent opposed. Club spokesman Kel Watts said queries about local greyhound racing funding were tacked on to the end of the 15-minute phone survey. “The questions had no context, were factually inaccurate, and were designed to deliver an answer that supported the bad policy of cutting funding and possibly imposing a ban,” Mr Watts said. Mr Watts said the funding, which was redirected to the industry transition program from July last year, was not a subsidy but money from gambling agencies, which deliver a portion of the money they receive to the Government and racing industry. “By failing to give context, such as the funds being used entirely for animal welfare and integrity measures, people had no idea what they were supporting or opposing,” he said. Mr Watts said respondents weren’t told independent research commissioned by the ACT Treasury showed the local economy received a boost of more than $2 million for the funds passed on to greyhound racing. “They also failed to mention the funds are just 12.5 per cent of the amount that goes to the entire ACT racing industry, with thoroughbred racing receiving $6 million a year and harness racing receiving over $1 million annually,” he said. Mr Watts said that unlike greyhound racing, which uses all this funding for animal welfare and integrity measures, horse racing uses a significant portion for prize money. “Without these important facts, it is very clear people didn’t know what they were really being asked and didn’t know what their answers really meant,” he said. Mr Watt said the Canberra Greyhound Racing Club had commenced legal action to reinstate funding, arguing that it is a property right ”because the money is earned by providing product for the wagering sector”. It had also commenced legal action to fight the ban on racing in the ACT, which passed the Legislative Assembly in November. What are your thoughts on this issue? Do you think the poll was unfairly biased towards the government? Let us know by commenting below. Kel Watt said that all of the $1 million “funds being used entirely for animal welfare and integrity measures” was the key issue. Um. Pardon? 1. There are no ACT greyhounds. They are all from interstate. So much for injecting funds into the “local” economy. Local obviously means NSW. 2. If there were no animal welfare issues, then why the funding for such. 3. Integrity? The “club” has an “unblemished” animal welfare record. So why the need to put money into “integrity”. I’d like to know where our cut of that “animal welfare fund” was when we rescued an injured and unwanted Wagga greyhound from the CGRC track in Feb 2016. We paid hundreds, if not thousands of our own money rehabilitating him. Welfare and integrity? I’m amazed they can even spell those words, let alone know their true meaning. Greyhound racing is an animal abuse industry – complete with rigging races. drugging dogs to either win or lose, and the disappearance of the ones that aren’t fast enough. When a greyhound is killed they are listed as “retired”. When I spoke to the integrity (funny that) team, they said it was incorrect and they were discussing about how to change it to reflect the truth. Still hasn’t happened. And the threats of harm and death from industry participants towards people speaking the truth are just brushed under the carpet. Fake news is what the greyhound racing industry does best. Bunch of grubby cheats the lot of them. Good riddance to the animal abusing industry that is greyhound racing. The ACT does not want it. Nor does the rest of Australia. It’s been a few years since I last went to a local greyhound meeting. It’s easier for me now to wander into my local club and use their ACTAB facilities. However it was a good afternoon. A couple of wood fires to get warm against, a good cafeteria and a bar. There were the ACTAB people there plus a couple of on course bookies. Always a good crowd, where it seems there were as many young kids as there were adults. The crowd was a cross section of locals who I suspect most would not see the need to do their shopping at Manuka. However with the government closing it down I feel they should look at the Queanbeyan option. You will never get support from the local green/labour mob as dog racing is not elite enough. Modern labour is not like labour of old. Unfortunately. Amazing the under handed tactics politicians will go to. Mr Rattenbury should be ashamed at the way he has pushed this agenda,banning greyhounds to keep the vote of the Greens and keep his own job. It is absolutely abissmal the lengths that politicians will stoop to.